Sword Oratoria: Is it Wrong to Try to Pick Up Girls in a Dungeon? On the Side is a spin-off from the original DanMachi series (review here). This series aired between April and July of 2017. 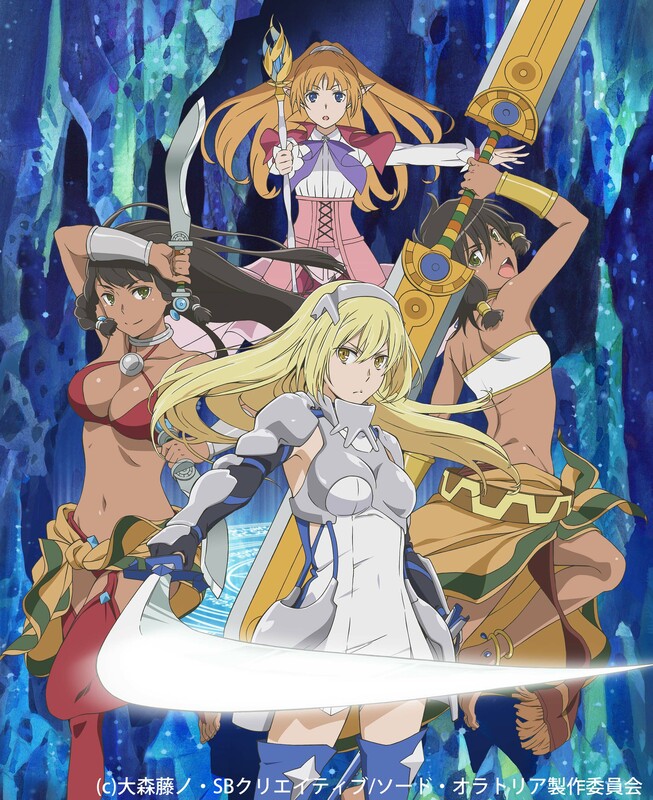 This spin-off focuses on Ais Wallenstein, showing the event of the original series from the perspective of Ais and Lefiya Viridis, a young elf girl. Both Ais and Lefiya are members of the Loki familiar. As such it is their role to explore “the dungeon” and to gain strength. While the events of the original series are occurring, Ais uncovers a mysterious new breed of monsters. With no clue as to who or what created them, Ais and her party will venture deep into the dungeon. However, this only uncovers a larger pot with deep seeded roots in Ais’s mysterious pasts and so Lefiya will try ber best to lighten the load for her. My Review: If you have read my review of the original series then you would know that I really liked it. And so I was expecting to like this one just as much. But unfortunately, I found this show to be painfully uninteresting. The plot is heavily character oriented around Ais and Lefiya. Lefiya as a character is fine, but her consistently changing attitude is exasperating. My biggest issue is with Ais, her entire character is that she consistently has no character. So having her as the main character is a terrible idea. Who wants a main character who always emotes with the same expression and tone. I can see that they tried to flesh out her background during the show but it didn’t really work. All the characters around her say that she is looking sad or distracted by something but she just has the same expression and behaviour, always. She worked fine as a supporting character in the main series, but shes just not main character material. The story itself wasn’t terrible, but there wasn’t a conclusion to anything. Ais’s backstory is never fully explained and the series ends with them killing a big monster, which ultimately ends up being pointless. It just seemed to half-hearted and tacked on. Every time we get to see some of the stuff from the original series, it just made me want to watch that instead. I can see that they wanted to do a female-driven story set in the world, but I think that they should have just created all new characters and have in entirely unrelated to the main series, perhaps with a few references here and there.